Don't even think about the weak 4-cylinder engine. Here only the V-6 makes sense—and you'll see virtually the same real-world mileage. The 2016 Dodge Journey is a strong value among crossover SUVs, but it misses the mark for the tech-savvy and safety-conscious. Can't decide between an SUV and a minivan? The 2016 Dodge Journey splits that difference better than perhaps any other model on the market. Although it's been surprisingly overlooked by shoppers, the Journey is a solid family pick, and one of the least-expensive ways to get a third-row seat. The Journey continues to sell on value and pricing, at a time when it's been carried over without serious change for a number of years. 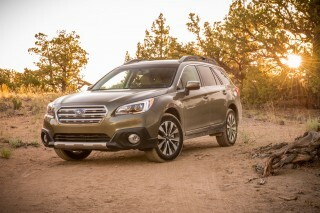 It's dimensionally larger than most of the compact crossovers it's shopped against—meaning that if space is important, you're getting more vehicle for the money. 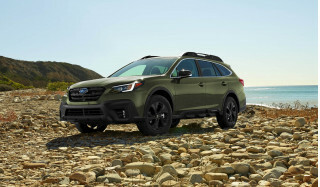 Larger families may find it suits their needs without the thirst for fuel and sheer on-the-road bulk of larger seven-seat mid-size crossovers like the Toyota Highlander or the much longer Nissan Pathfinder. On the other hand, the Journey is missing some of the active-safety items that some families might not be keeping in mind when shopping. Dodge has shaken off the same-as-the-other-guy sheet metal that clothes most crossovers, giving the Journey lines that are refreshingly different, even if they're no longer necessarily fresh. Likewise, the look inside is smooth, swoopy, and simple. While there's less of the warm, organic, and upscale feel here that's graced revamps to the Durango, Charger, and even Dart, it's all tasteful, with nice materials and trims. At the base level, in the 2016 Journey, you get a 2.4-liter inline-4 good for 177 horsepower. 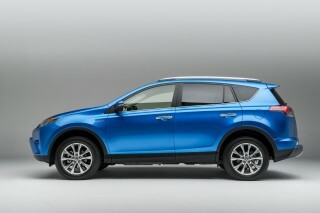 It is mated exclusively to an aging 4-speed automatic and front-wheel drive. Unless you're going to leave the Journey empty most of the time, it's going to feel strained, and we recommend you go for one of the models with the 3.6-liter V-6. It makes 283 hp, and upgrades to a 6-speed automatic to either the front or all four wheels. There it feels modern, quieter, and authoritative in its acceleration and general responsiveness. Ride quality remains a strong point, with the proper damping and roll control for a family vehicle, but the rather quick steering ratio feels a little out of place. People and cargo really fit well in the 2016 Dodge Journey, too, and there are lots of smaller spaces for personal items, toys, and accessories. The rear seat folds fully flat, and under the rearward portion of the cargo floor there’s a huge space vast enough for a couple of laptop bags. The front seats are what we’d best describe as "American-sized"—think wider than most. Second-row accommodations are among the best you’ll find in any vehicle this size, and the seats are contoured to fit adults; the seat back is adjustable for rake, and the whole bench slides fore and aft a few inches, so it’s easy to get comfortable back there. In federal crash tests, the NHTSA gives the Journey four stars overall. The IIHS gives it mostly "Good" scores, save for a "Poor" rating in the small-overlap crash test. Dodge has rejiggered the Journey's trim levels and equipment somewhat for 2016, dropping the former Limited model, as well as the former entry model, and offering it instead in SE, SXT, Crossroad, Crossroad Plus, and R/T models. Even in the base SE model you get power windows, locks and mirrors; air conditioning; cruise control; push-button start; a cooled glove box; a telescoping steering wheel; and an AM/FM/CD player. Bluetooth and a rearview camera system are key omissions on the base model—actually much of the lineup—but they are available in lower models as an option. Crossroad models get platinum chrome accents and Hyper Black alloy wheels, while Crossroad Plus models add sport mesh seats, upgraded 8.4-inch Uconnect infotainment, and other upgrades. The infotainment system here, with its available Garmin navigation functionality, remains one of the better systems in this class. Sirius Satellite Radio and TravelLink features are available, along with a premium 368-watt sound system. 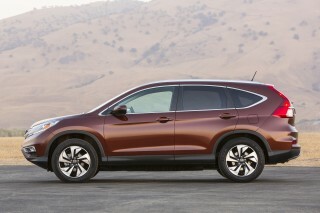 The base 4-cylinder engine and 4-speed automatic transmission earn an EPA-rated 19 mpg city, 26 highway, 21 combined. 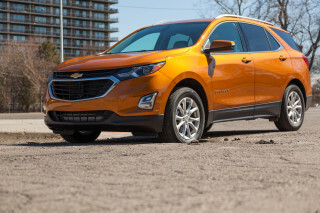 V-6 front-wheel-drive models do 17/25/19 mpg, while the all-wheel-drive version (V-6 only) manages 16/24/19 mpg, according to the EPA. 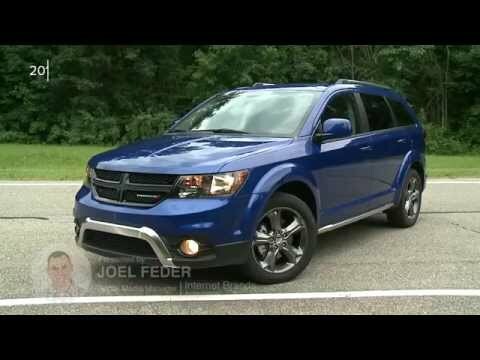 The cabin of the 2016 Dodge Journey is handsome, and its shape is dated yet still refreshingly different. The 2016 Dodge Journey at best, exemplifies the middle ground between a wagon and SUV; but at worst, it's a wallflower, a completely anonymous vehicle that doesn't manage anything more interesting than the vehicles it's trying not to be. The Journey definitely has its own look in the crossover space—one that blends some minivan practicality and features into a shape that some will find far more more pleasing to the eyes than a minivan. That said, the minivans of the current generation have actually moved to more distinctive places, while crossover design seems to have been treading water. And the exterior of the Journey is rather slab-sided, with chiseled sheet metal and flared wheelwells and square shoulders, along with some degree of sheet metal creasing. Is it refreshing and different in an era of curvaceous crossovers, or is it conservative and anonymous? As this model ages, it seems to be more the latter to our eyes, a relic of another era that's been carried over mostly unchanged. The look of the Journey, inside, is smooth and swoopy, but it missed out on the over-the-top, warm-and-organic look that graces other current Dodge products like the Durango, Charger, and even Dart. But there's actually plenty to love in the simple layout, which has large dials and knobs framed by high-quality materials. Although the interior materials are dark, there's enough well-placed brightwork to break it up and also give it a slightly more upscale feel. Go with the V-6 versions of the Journey and pass on the inline-4; otherwise this crossover is merely average on performance. The 2016 Dodge Journey offers three different powertrain combinations: an inline-4 with front-wheel drive, or a V-6 with either front-wheel drive or all-wheel drive. And we think that if you go with either of the V-6 versions, you'll end up with a vehicle that's pleasant-driving and responsive. 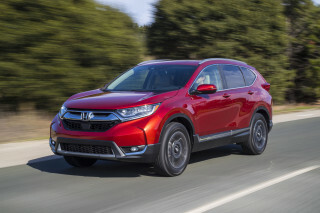 The Journey isn't the right option for those looking for top-shelf fuel economy and responsiveness from a 4-cylinder engine. A rough, 173-horsepower 2.4-liter inline-4 is the standard engine, and it comes with a 4-speed automatic that's disappointing in virtually every way possible. The lineup of Journey models has been revamped for 2016, and now the V-6 is optional on SXT, Crossroad, and Crossroad Plus models but standard on R/T models as well as all models with all-wheel drive. The 3.6-liter "Pentastar" V-6 makes 283 hp and works well with the 6-speed automatic when you're really pushing the Journey; but we've experienced some shuddering from the transmission in lower-speed stop-and-go driving. It's the one you should go with. The Journey's handling is reasonably responsive. Its suspension loads and unloads confidently, like that of a lower and leaner vehicle, and there's none of the excessive bounding and wallowing when you hit a bump mid-corner. The ride quality remains a strong point, with the proper damping and roll control for a family vehicle. Third-row accommodations are small, but the 2016 Journey remains one of the lowest-priced vehicles to offer them. If you think that the 2016 Dodge Journey looks like utility vehicle with lots of minivan influences, you're on the right track; many lessons learned in the minivan game—from Chrysler and Dodge, who have been some of the leaders in it all along—have been passed along to the Journey. While the Journey's layout seems to be focused around families, parents will also find a lot to like inside. Seating arrangements are smart, and there are plenty of cubbies and places to stash things. For people, cargo, or a combination of things, the Journey can almost certainly accommodate what you need. A third-row seat is optional on the Journey, and it's quite useful here, in a size class where a lot of vehicles only offer space for five. Here the third row has reasonable space for all but larger adults; kids will be just fine back there, although it's not as spacious as the third row in minivans. Back seats are contoured to fit adults (perhaps three kids, but two adults), while accommodations back there are among the best you’ll find in any vehicle this size. The second-row seatback is adjustable for rake, and the whole bench slides fore and aft a few inches, so it’s easy to get comfortable back there—and that aids access to the third row. Folding the seats forward for cargo takes an extra step—you slide the middle portion of the outboard cushions up and forward first—but the reward is that you get a lower, flatter load floor, like minivans offer, as well as better contouring for the seats. The cargo hold specs out at a swell 37 cubic feet behind the second row, and a tight 10.7 cubic feet behind the raised (optional) third-row seat. Flip everything down behind the front seats, and there's 67.6 cubic feet of space—the sort of space you could use for furniture-hauling or major weekend projects. There are also many thoughtful solutions for storing smaller odds and ends, and keeping some of them out of sight. For instance, the cushion of the passenger seat flips up to reveal a bin underneath, while below the rearward portion of the cargo floor there’s a huge space vast enough for a couple of laptop bags. 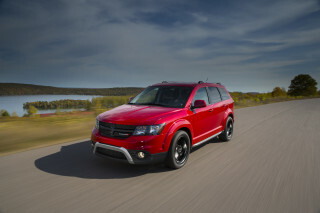 The Dodge Journey does OK in safety, but it doesn't have enough to give families absolute confidence. The 2016 Dodge Journey is built on a now-aging structure that was conceived during another era at Chrysler, when the automaker had partnered with Mitsubishi; so it's somewhat related to the previous generation of the Mitsubishi Outlander. With that in mind, the Journey is a relatively safe vehicle; although if this is your primary family vehicle you might apply higher standards—and the Journey doesn't quite manage the best ratings or the latest active-safety lifesavers. In federal crash tests, the NHTSA gives the Journey four stars for frontal crash and rollover protection. That translates to a four-star overall rating with front-wheel drive or a five-star rating with all-wheel drive (a computational difference, we suspect). Its side rating is an excellent five stars. The 2016 Journey, in IIHS testing, earns a top "Good" for moderate-overlap front crash, side crash, roof strength, and seats and head restraints. But the IIHS gives it a "Poor" rating in the small overlap frontal test, and it was bad enough for the IIHS to call it out as particularly poor. The Journey's standard-feature set is good, although it's omitting modern front crash prevention completely. Every Journey comes standard with dual front, side, and curtain airbags; stability and traction control; active head restraints; and four-wheel disc brakes with anti-lock control. Integrated child booster seats are also offered for the second row. Considering this is a family vehicle, it's also rather surprising that the rearview camera and parking sensors remain optional—and then only on top trim levels—because outward visibility in this high-shouldered vehicle can be challenging in parking lots and driveways. The 2016 Dodge Journey still has one of the better infotainment systems in its class. Dodge has streamlined the number of ways the Journey is offered for 2016, whittling it down to five models: SE, SXT, Crossroad, Crossroad Plus, and R/T trim levels. Last year's high-value, bargain-basement American Value Package entry trim is gone this year. 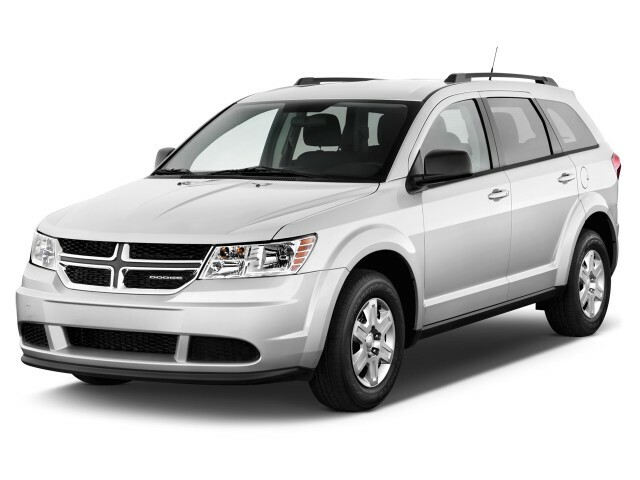 At the base level, the Dodge Journey includes power windows, locks and mirrors; air conditioning; cruise control; 17-inch wheels; keyless ignition; a cooled glove box; a telescoping steering wheel; and an AM/FM/CD player, window tinting, and roof rails. Bluetooth isn't included on the base SE or the SXT; rather, it's part of a Uconnect Voice Command with Bluetooth Group. And SE, SXT, and Crossroad models are saddled with smaller 4.3-inch Uconnect screens for audio (although they do include USB and an aux-in port). Only top Crossroad Plus and SXT models get a standard 8.4-inch Uconnect system, with a Uconnect navigation system available. Seven-passenger seating is also available on the SE and standard on all other models. But busy families may also want to note that the rear-seat entertainment system is only an option on the Crossroad Plus and R/T models. SXT models upgrade to fog lamps, LED tail lamps, and various appearance additions. The Crossroad model is also mostly appearance, with 19-inch wheels, platinum exterior accents, and leather seats with mesh inserts. At the Crossroad Plus level, that's where the equipment really kicks up, with the larger infotainment screens, leather upholstery, and 19-inch wheels. It's also where you can opt, through various packages, for things like a sunroof, upgraded sport mesh seats, and heated front seats. It also includes a power driver's seat (but not a power passenger seat). At the top R/T level you add appearance upgrades like red accent stitching, and satin-carbon aluminum wheels. A six-speaker, 368-watt premium audio system is included in the R/T, but optional in the Crossroad Plus. Four-cylinder versions of the Journey aren't worth getting for their superior ratings, as they don't pay off in the real world. We'd call the gas mileage of the 2016 Dodge Journey acceptable, but nothing more. You won't find the latest 8- or 9-speed automatics here, or engine stop-start, or any kind of hybrid system on offer. The base inline-4 doesn't deliver on its EPA numbers in real-world driving, from what we've found, while the V-6 accelerates well while pretty much meeting its numbers. 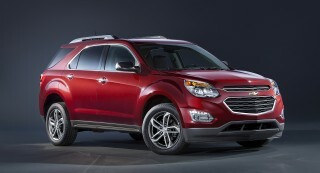 The base inline-4 and 4-speed automatic transmission earn an EPA-rated 19 mpg city, 26 highway, 21 combined. 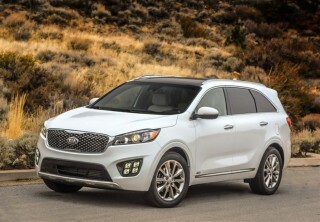 V-6 front-wheel-drive models do 17/25/19 mpg, while the all-wheel-drive version (V-6 only) manages 16/24/19 mpg, according to the EPA. Yet in a V-6 model, including a mix of freeway driving, family-hauling, and suburban side trips, we averaged 24 mpg. That's not far from what we've seen in 4-cylinder crossovers this size in that kind of driving. This car is surprisingly good! We got the AWD SE edition, originally intending it as just a winter car. The family ended up loving it enough to make it the primary, over our 2008 Town & Country (fully loaded). The 4 cylinder engine is... We got the AWD SE edition, originally intending it as just a winter car. The family ended up loving it enough to make it the primary, over our 2008 Town & Country (fully loaded). The 4 cylinder engine is powerful enough to have no noticeable problems carrying 5 altogether (plus a dog). The acceleration is quite fast - faster than the 4.0 liter v6 Town & Country. (This is based on my experience, and not any Engineering White Papers). 6' 4" 260lbs can fit in the 3rd row. The 2nd row is very roomy so moving it up a bit doesn't affect the passengers at all. I ain't lying - this car is amazing as a reliable people-mover. In 2.5 years, we have had 0 issues! We drive mostly Stop & Go (city) 365 days a year and haven't even had to change the brakes pads yet. Drawbacks: The Dodge safety features aren't near Honda's or Subaru's. This is not a drawback for me but I'd have loved my teenage drivers to have had those features (autonomous braking). It is a perfect size for a big family, it is very comfortable. Plenty of space to storage. The 4.2 L is enough for normal driving, no complaint about this issue.